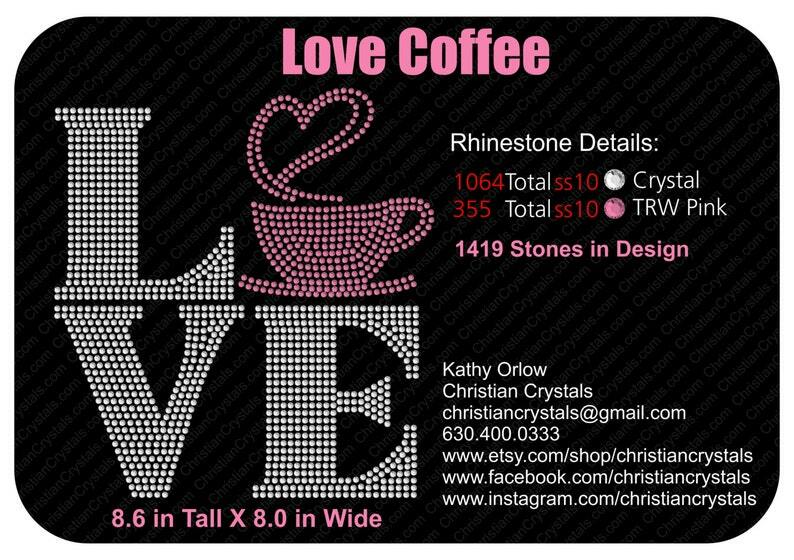 Love Coffee/Tea Custom Rhinestone Tee. Approximate design size is 8" x 8"
Listing is for black tee sizes Small - 5XLarge or hoodie sizes Small - 3XLarge. Wash garment inside out. Hang dry, air fluff or very low heat. Use of excessive heat may loosen stones.